– I haven’t read the translations yet, but I think we got a lot of Watanuki and Sakura saying they will do everything they can do from where they are. – On Syaoran’s team side, not much has happened except Syaoran being almost eaten alive by a whole bunch of creepy woman’s friends. 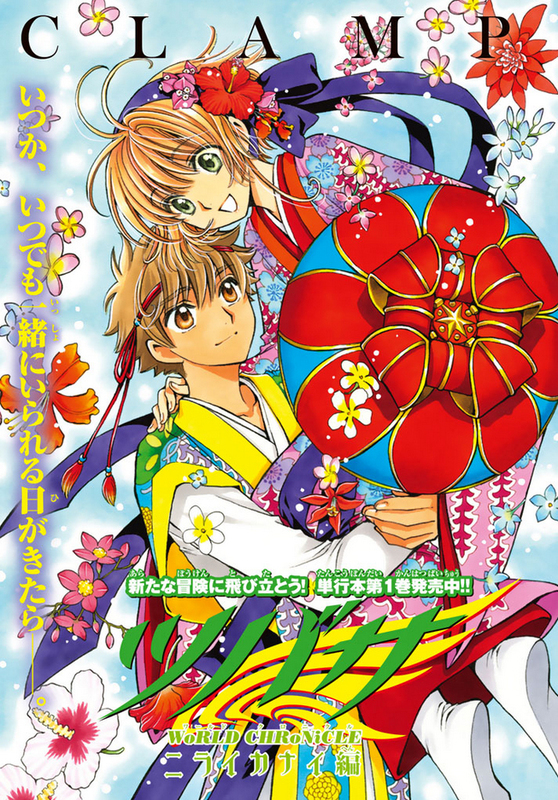 – clone!Syaoran is back?! Sort of… I kind of had guessed this would happen because of this chart. – 29 pages this month (I am telling you: these chapters are REALLY getting smaller and smaller each time!). 59 pages for volume 2 so far. I am pretty excited to see Clone|Syaoran waking up, but ‘who is he?’ would be my question: is he “Syaoran’s father” or is he “another Syaoran”, meaning the fact they are parent and child will be completely ignored and we should think of him as a teenager Syaoran? After reading the translation, I think the reason why Syaoran is “glowing” and seeing it differently from the others must be because the clone is living “inside” him. Something aorund those lines? Wasn’t your birthday a few days ago? HAPPY BELATED BIRTHDAY!! =D =D Fellow Pisces! And thank you! 😀 I turned 30 years old 2 days ago, I keep getting older but I really don’t change at all in the inside no matter time how many years pass by hahaha~ And Happy Birthday to you too! I looked on livejournal and saw yours was on March 3rd, sorry for missing that! That’s the spirit, girl! I turned 28 this year, and still “chibi” inside-out 😉 Thank you, also!